Get White and Stay Green! 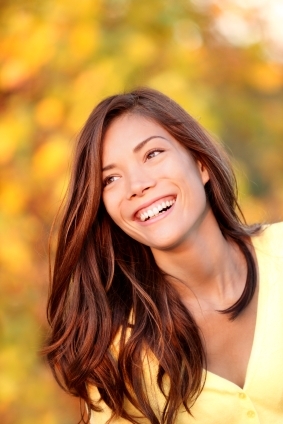 If you’re like most of us, you want the lightest, brightest smile possible. While red wine, coffee and ketchup may have dulled your smile, you may be concerned about the ingredients in teeth whitening products, or whether whitening harms our already overburdened planet. We hear you. Some whitening products, particularly those intended for home use, contain chemicals best kept out of our mouths and our environment. These include sodium saccharin, which is derived from chlorine and ammonia, or titanium dioxide, a chemical that is used to make paint white, or BPAs (Bisphenol As), a chemical used in many plastics and which has recently been banned in the US for use in baby bottles and canned food liners (this chemical has long been banned in Europe). You should always read the labels on whitening products for home use, and research ingredients that may be of concern. The system works by having your hygienist or dental assistant apply a special hydrogen peroxide gel to your teeth and then illuminating the teeth with a LED lamp while you relax. Some of our EDA member offices are even offering foot massages with these treatments. After less than half an hour, your smile is ready to dazzle. The EDA awarded the “Accepted Seal” to Sinsational Smile not only because its ingredients have been determined to be GRAS (Generally Regarded as Safe), requiring no warnings, but because of the extraordinary environmental efforts of the company that makes the product. Its manufacturing facilities are located in a LEED certified building, which means they use the best green building methods and materials, and they’re even powered by solar panels installed on their roof. They are also the first whitening product to use recyclable silicone trays (BPA-free) in their system. So when you’re ready to get those pearly whites even whiter, ask your dental office if they use the Sinsational Smile system. If they do, you won’t have to worry that you’re doing something to harm the environment while doing something that makes your smile shine brighter. « Make It a Green Halloween!